The rock-like faith of Peter is at the heart of William Wilberforce’s crusade against the slave trade in Amazing Grace, as well as that of a black family in The Long Walk Home who decide to participate in the Montgomery Bus Boycott. Ed McNulty, Visual Parables. "Peter 'Fesses Up," D. Mark Davis, Left Behind and Loving It, 2014. Evangelectionary for August 24, 2014, Peter Bush, Evangelism Connections, 2014. Preaching Helps (Pentecost +11). Rev. Dawn Chesser, United Methodist Church General Board of Discipleship, 2014. "Defiance," Kathryn Matthews Huey, Sermon Seeds, UCC, 2017. The Lectionary Lab, Pentecost 10, the Rev'ds Dr. John Fairless and Delmer Chilton (aka "Two Bubbas and a Bible"), 2011. Jesus Now, Proper (Ordinary) 21A, lectionary, study and worship resources from Faith Futures Jesus Then & Now. Rumors, for August 24, 2008, Ralph Milton, "Sermon helps for preachers with a sense of humor." "Not everyone knows who Jesus is. Do his disciples?" Luke A. Powery, The Christian Century, 2017. "Pausing to Give Thanks," David Lose, ...in the meantime, 2017. "September's Deportees," Nancy Rockwell, The Bite in the Apple, 2017. "The Keys of the Kingdom: Opening Doors and the Gift of God that Heals," Janet H Hunt, Dancing with the Word, 2017. "Stay Tuned! God Is Faithful," Robert Warren, Christ Church Clermont-Ferrand, 2017. A Plain Account Commentary. Podcast. "Yes and No," Dan Clendenin, Journey with Jesus, 2017. "Who Do You Say I Am?" David Lose, ...in the Meantime, 2014. "A 'Come to Jesus' Moment," Karoline Lewis, Dear Working Preacher, 2014. "Keys to the Kingdom," RevGalBlogPals commentary and discussion, 2014. "Many Members, One Body," Alyce McKenzie, Edgy Exegesis, 2014. "Pharaoh Goees Bonkers, or the Stupidity of a Tyrant," John C. Holbert, Opening the Old Testament, 2014. "Jesus: 'The Irresistible Incomprehensible'," Dan Clendenin, Journey with Jesus, 2014. 2011. 2008. 2005. "On a Dusty Hill In Caesarea Philippi," Peter Lockhart, A Different Heresy, 2014. "Messianic Complex?" Robert Cornwall, Ponderings on a Faith Journey, 2014. "Fierce Blessing," Jan Richardson, The Painted Prayerbook, 2014. 2001. Use of images. "Doing What We Can Do," Steve Goodier, Life Support System, 2014. "Who?" Katie Munnik, Presbyterian Record, 2014. 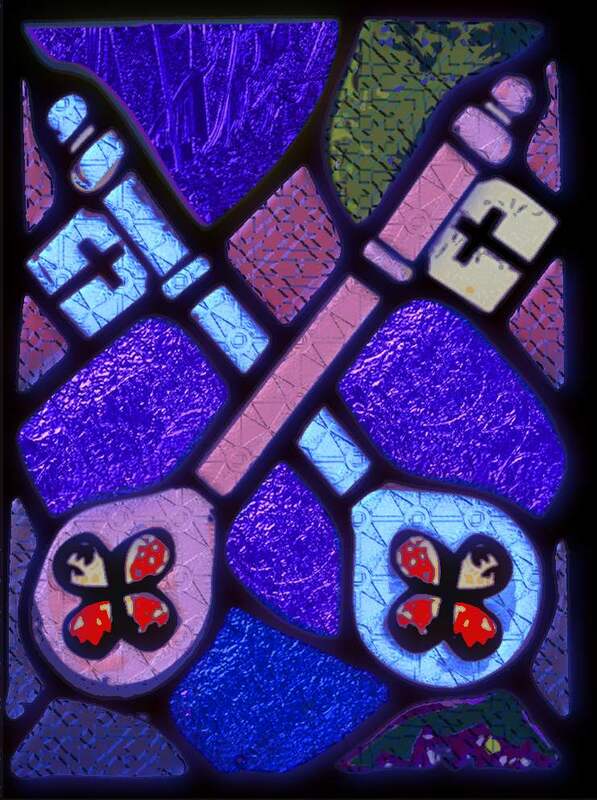 "How to Prevent an Identity Crisis," Sharron R. Blezard, Stewardship of Life, ELCA, 2014. 2011. "Foundational Rocks," Thomas Beam, 2014. "Rock, Paper, Kingdom," Stan Duncan, If You Lived Here You'd Be Home by Now, 2014. "Rocks, Arks, Baskets and Water," Lynn Miller, Art & Faith Matters, celebrating our creative and living God by generating art and architecture resources for congregations and individuals. Art and Faith Matters facebook page contains additional resources. "Who Do You Say That I Am," Suzanne Guthrie, At the Edge of the Enclosure, 2014. "The Self Under Attack," Mark Ryan, Ekklesia Project, 2014. "The Politics of Church Survival," Timothy F. Simpson, Political Theology Today, 2014. "Even the Holiest of Labels," Andrew King, A Poetic Kind of Place, 2014. "The Rock of Forgiveness," Janet H. Hunt, Dancing with the Word, 2014. "Snatching victory from the jaws of unlikelihood," Steve Godfrey, Church in the World, 2014. "Faith in the Past, Present, and Future," Rev. Dr. Eric D. Barreto, ON Scripture, 2011. Commentary and association with current news events, links and videos. "The Butterfly Effect," David Lose, Dear Working Preacher, 2011. Lectionary Blogging, August 21, 2011, John Petty, Progressive Involvement, 2011. "When Jesus Asks..." Linda Fabian Pepe, Theological Stew, 2011. "Peter's Confession and Ours," Alyce McKenzie, Edgy Exegesis, Patheos, 2011. Sermon Notes for August 21, Michael Rich, In-Formatio, 2011. "Gifted and Called," Bob Cornwall, Ponderings on a Faith Journey, 2011. "Identity Crisis?" 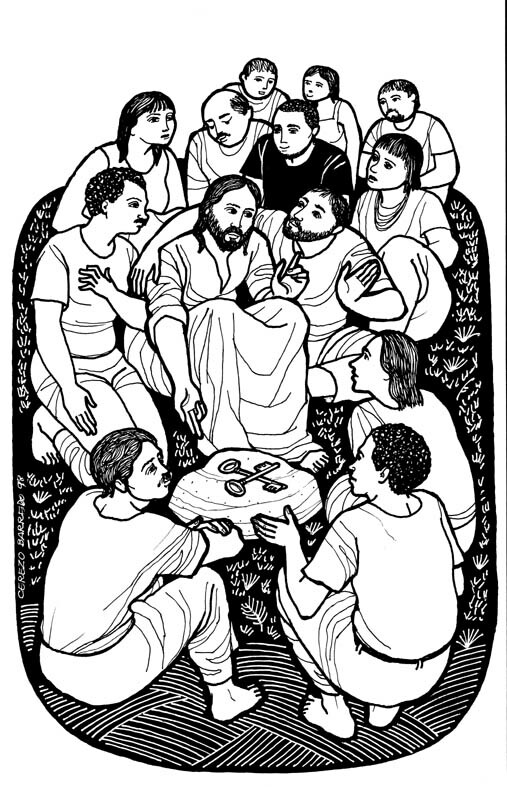 Miriam's Tambourine, reflection, artwork, worship resources from Memphis Theological Seminary. "Transformed," Melissa Bane Sevier, Contemplative Viewfinder, 2011. "Taking a Liberty," Neil Chappell, a weird thing, 2011. "Jesus sweeps the corridors of power," Peter Woods, I am Listening, 2011. Dylan's Lectionary Blog, Proper 16. Biblical Scholar Sarah Dylan Breuer looks at readings for the coming Sunday in the lectionary of the Episcopal Church, 2005. "The Energy That Is Christ," the Rev. R. Scott Colglazier, Day 1, 2014. "Can You Keep a Secret?" Katerina K. Whitley, Sermons that Work, Episcopal Digital Network, 2014. Propio 16 (A) – 2014 por Rvdo. Enrique Cadena, Sermones que Iluminan, Episcopal Digital Network, 2014. "The Way He Carries Me," Frederick Buechner Sermon Illustrations. "Do You Love Jesus?" the Rev. Dr. Peter Marty, Day 1, 2011. "How Do We Know What God Is Like?" The Very Rev. Dr. Ian Markham, Day 1, 2008. "Gifted to Serve," Faith Element, 2014. "Defiance," Weekly Seeds, UCC, 2017. Bible Study, Proper 16A, 2014, Lea Colvill, Sermons that Work, Episcopal Digital Network. Estudio de la Biblia. Propio 16 (A), por Lea Colvill, Sermones que Iluminan, Episcopal Digital Network, 2014. Worship Planning Helps (Pentecost +11): Worship & Preaching Notes, Hymn Suggestions and Worship Resources from the United Methodist Church General Board of Discipleship. Worship Resources, Proper 16, Sacredise, 2011. Worship Resources, August 24, 2011, Rev Mindi, Rev-o-lution, 2014. Mustard Seeds, "Who Is This Man?/Five Courageous Women," Proper 16, 2014. A lectionary-based ideas resource for leaders of contemporary worship, Ann Scull, Gippsland, Australia. "Life in Christian Community," Resources for Prophetic Worship, Speaking to North Carolina Justice Issues, North Carolina Council of Churches, 2008. Lectionary Liturgies, Ordinary 21, Thom M. Shuman, Presbyterian Church (U.S.A.), 2014. Worship and Liturgy Resources, Ordinary 21, by Rev David Beswick, Uniting Church in Australia. Liturgy for the Celebration of Life, Pentecost 10A. Liturgies from a Progressive/Post-Liberal Theology, Revd Rex A.E. Hunt, The Uniting Church of St James Curtin, ACT, 2011. Lector's Notes, OT 21, Gregory Warnusz, Saint Jerome Parish, Bellefontaine Neighbors, MO. Notes and commentary for those reading this week's lectionary texts to the congregation. Prayers of the People, P16/OT21, General intercessions for Sundays and Feasts, by Ormonde Plater, Archdeacon of the [Anglican/Episcopal] Diocese of Louisiana. 21st Century Worship Resources, Pentecost +11, UMCDiscipleship.org. Offertory Prayers, Pentecost +11, UMCDiscipleship.org. The Timeless Psalms: Psalm 139:1-12, 23-24, (Pentecost 5A), Joan Stott, prayers and meditations based on lectionary Psalms, 2011. Prayer for Sunday Proper 16A/Ordinary 21A/ Pentecost +10, RevGalBlogPals, 2011. The Timeless Psalms: Psalm 124, Joan Stott, prayers and meditations based on lectionary Psalms, 2014. HermanoLeón Clipart, Ordinary 21, Free clipart, backgrounds, slides, etc. Clip Art, Ordinary 21, Fr. Richard Lonsdale, Resources for Catholic Educators. Clip Art Images: Matthew 16:13-20, Misioneros Del Sagrado Corazón en el Perú. Ordinary 21 at Cerezo Barredo's weekly gospel illustration. Follows Latin American Roman Catholic gospel reading, though most gospels texts/themes are found in the index. Liberation emphasis. "The Thin Man,", The Painted Prayerbook, Jan Richardson, 2011. Use of images. "Faith in the Past, Preset, and Future," Rev. Dr. Eric D. Barreto, ON Scripture, 2011. Commentary and association with current news events, links and videos. Also posted at Huffington Post Religion. "Gloves," video, John Stevens, Dollar Store Children's Sermons, 2014. "Sweaty Spirituality: Fighting Obesity with Paul," Jacob D. Myers, ON Scripture, Odyssey Networks, 2014. Video: 5 things you didn't know about childhood obesity in America. Midwives Call, Exodus 1b, video, David JM Coleman. “Long Ago, When Pharaoh's Daughter” an original hymn by Carolyn Winfrey Gillette, 2009, celebrates adoption, including Pharaoh’s daughter and Moses. Tune: NETTLETON 8.7.8.7 D (“Come, Thou Fount of Every Blessing”). and O WALY WALY ("Though I May Speak"). "There Are Many Ways of Sharing" an original hymn by Carolyn Winfrey Gillette, 2004, celebrates the gifts of the Spirit for the Church. NETTLETON 8.7.8.7 D ("Come, Thou Fount of Every Blessing"). "One Word Created," Brenton Prigge, NewHymn. Hymns of the Spirit Three, Proper 16A, Richard E. Hurst, Universalist National Memorial Church. Psalm 124 set to St Anne (CM 86 86), Psalm 138 set to Lobe den Herren (14 14 11 8), by Dale A. Schoening, Metrical Psalms. Hymn and Song Suggestions, Proper 16A, 2014, annotated suggestions from Natalie Sims, Singing from the Lectionary. Lectionary Hymns, Pentecost +10, UMCDiscipleship.org. Shepherd Sounds, Pentecost +10, Background information for hymns and choral music following the lectionary from the Episcopal Church of the Good Shepherd, Austin, Texas, by Eric Mellenbruch and David Zersen. Together to Celebrate, David MacGregor, 2017. Lectionary Puzzles, Proper 16. Word search puzzles in RTF or plain text, by Reg McMillan, St.Stephen's Presbyterian Church, Peterborough, Ontario. Worshiping with Children, Including children in the congregation's worship, using the Revised Common Lectionary, Carolyn C. Brown, 2014. Moses Display. 2011. "Storypath Lectionary Links: Connecting Children's Literature with our Faith Story," August 24, 2014, Union Presbyterian Seminary. Connections: Exodus 1:8-2:10 and Peggy: A Brave Chicken on a Big Adventure by Anna Walker, Romans 12:1-8 and Life by Committee by Corey Ann Haydu, Matthew 16:13-20 and The Streak: How Joe DiMaggio Became America's Hero by Barb Rosenstock. 2011. David's Moment Of Stupidity -- Children's liturgy and story by Janice Scott based on Matthew 16:13-20 from SermonSuite. Faith Formation Journeys, Children's Sermon, Pentecost 10A, 2011. "Waiting for a Peach,", Proper 16A, Frances Woodruff, On the Chancel Steps.